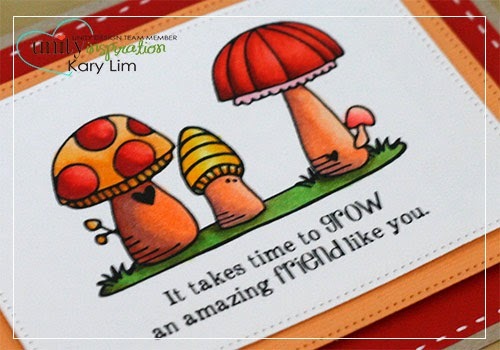 It's Kary here to share a new Stamp of the Week with you. 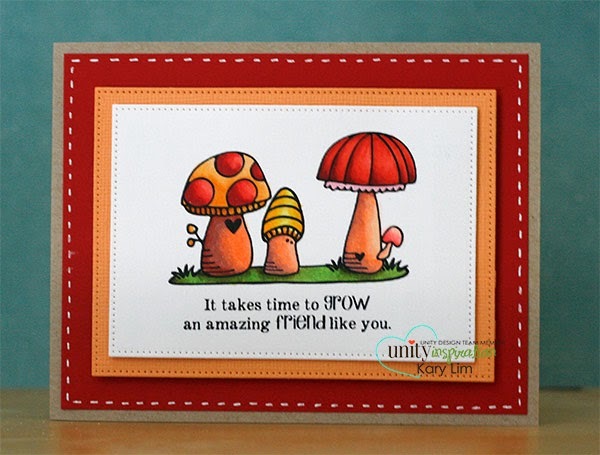 This week's SOTW has really cute Mushrooms and I love the open images. They are so adorable, and just perfect for adding some colour. Stamp of the Week is a GREAT program - you get an exclusive stamp delivered to your door EVERY WEEK at a special price. If you have been thinking about subscribing, why not take the plunge and click here for all the details.